The transit agency believes that to adequately improve reliability and bring back a significant number of riders, it has a long way to go. WASHINGTON — Fewer riders are being forced off Metro trains in the middle of their trips this year compared with last, according to documents prepared for the Metro Board. But the transit agency believes it has a long way to go to improve reliability enough to bring back a significant number of riders, those staff-prepared documents show. Metro staff now blames 30 percent of the significant decline in ridership since 2011 solely on reliability issues — riders who do not trust Metro to get them to their destinations on time. Metro blames additional declines of 5 percent — on top of the sharp drop after Carol Glover died on a smoke-filled Yellow Line train in 2015 — on the 24/7 track work surges that began in June 2016. Metro believes other declines are tied more to external forces, such as increased telework and lower gas prices. While Metro is attempting to develop a better model for how fare hikes and service cuts such as those that began last month change ridership given the other factors involved, the agency believes Metro’s most-frequent riders are not abandoning the system entirely. Instead, Metro believes such riders are simply taking fewer trips. The heaviest ridership declines have been at times when Metro runs the least service with the most track work disruptions. In 2016 and 2017, rush-hour ridership has dropped 5 percent, while off-peak weekday ridership dropped 10 percent. On weekends, ridership is down “at least” 10 to 20 percent, depending on that weekend’s track work schedule, according to the documents. However, even as Metro says about 90 percent of rail riders arrive within 5 minutes of the longest possible expected trip schedule for that time of day without any delays, the latest on-time performance measures for the rail system estimate riders arrive on time only 69 percent of the time. If that improved to 75 percent, Metro projects that ridership would grow by about 2 percent. If it improved to 85 percent, Metro projects that ridership would increase by about 5 percent. Metro is hoping a few better days in June signal some bounce back — including the highest weekday ridership of the year, June 27 (699,804 rail trips). In 2009, Metro set around 750,000 trips each weekday. The number of train offloads — in which riders are forced onto often-crowded platforms because of an issue with a train’s doors, brakes or other systems — is down more than 40 percent this calendar year compared with last, Metro Board documents said, meaning fewer train-related delays on the tracks. 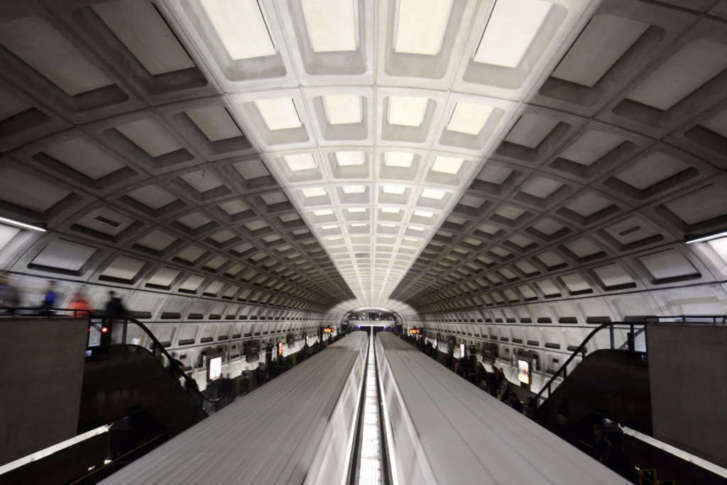 While Metro must still address other issues that can pose more serious threats — including the power system and water regularly seeping into tunnels — railcar issues are among the most common cause of rider frustration. Train-related disruptions have accounted for about 60 percent of rider delays in recent years, while track work has accounted for an increasing portion of late trips over the last 13 months. Changes to railcar maintenance and how trains are put together each day could lead to additional improvements on the railcar front. Metro has changed the brake systems on what are now the oldest cars carrying riders — the 2000 and 3000 series — and are working to change the door opening and closing systems on those cars, too. Mechanics will also be scheduled to do more detailed inspections of cars more often — every 60 days rather than every 90 days — and will be assigned to work on the same specific railcars on a regular basis, so that individual people can be tied to any recurring issues and so they have a better opportunity to notice any trends. Observant riders may also notice more trains made up entirely of the same generation of railcars. Metro believes that could reduce the number of railcar issues because interacting systems will all have been built at roughly the same time. The new 7000 series trains are so much more technologically advanced than the other railcar series they only run with their own kind. Metro now has 44 new 7000 Series trains in service as of June, with three more eight-car trains going through the commissioning process. The new trains are being taken out of service along the line less often than any other type of Metro railcar, but there are still issues — including pieces of seats peeling off.